It all started upon one fine blue day, indeed Monday. Honestly, I was not in a mood to work, so out of curiosity, I started exploring places for a weekend getaway near Delhi, i.e within the radius of 500 km. In no time, I found myself engrossed in the natural beauty of this small town – Bir. Bir is a Buddhist town with a limited population, monasteries, a higher education center for Buddhist culture and a Tibetan handicraft center. So what’s so special about this place? 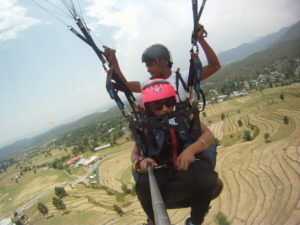 One word: PARAGLIDING. 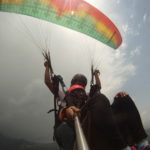 Billing, a second highest paragliding destination in the world, is situated north of Bir at the distance of 14 km on the way to the Thamsar Pass trek, which is leading to Bada Bhangal, tribal region of Himachal Pradesh. The place made me fall in love with it almost instantly. Onkesh Bansal – PJ master in case one gets bored of good jokes (wink*). 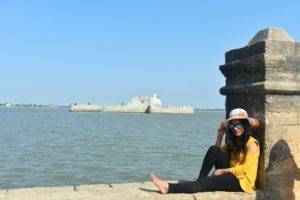 Swati Kurra/Me – Planner and definitely an executor. Yeah, mere three of us until I was caught by my cubicle buddy. The word spread and our group started growing. Within no time, our group was added with 5 new members. And so, our crew of 8 was ready to fly, literally !! As the time was approaching, everyone was getting excited about the trip. We used to google for the images of places almost every day and many times got soaked entirely into the dream of flying for real. 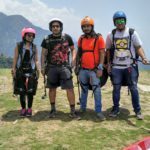 Ravi had arranged everything beforehand for us – Booked Volvo (From Delhi to Bir-Billing & back), Hotel stays, Taxi and of course the pilots for paragliding. After planning for about 2 weeks, the D-Day (27 May 2016) was here. We all were at different places in Delhi NCR and the bus was to be boarded from ISBT, Kashmere Gate, Delhi at 9:30 PM. After a lot of missed calls, dropped calls, messages, voice notes, and SMSs, everyone reached the bus with 5 minutes to spare. We got seated immediately and I started talking with everyone, almost chirping as if I haven’t spoken a single word since morning. The Volvo halted at Amrik Sukhdev Dhaba, Murthal, Haryana around 10:30 PM. Here, everyone had their dinner & I had a pan in Lucknavi style. After gossiping, snacking and watching the boring movie, everyone slept. Next morning, I woke up, around 8 ‘o clock, with the sun shining directly on my face, all thanks to the window seat. On enquiring, I found out that we had reached Palampur, Himachal Pradesh. The lush green valleys and a cold breeze outside ensured that we were in hilly terrain, a fresh change from the life in a metro. On reaching Baijnath, Himachal Pradesh, we readied ourselves as our destination was near. We got off at Bir Road and the taxi was already waiting for us to drop us to Garden View Hotel. “Ahh!! A Bed, What a relief”, was my expression. After traveling straight for 11-12 hours that too after 9 hours in an office. Alas! (we lazy) IT people. 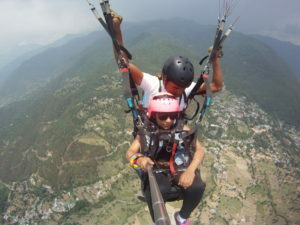 We got ready, had breakfast and went to the paragliding launch site in a taxi with our pilots. One can also trek from Bir to Billing for an extra dose of adventure on the way. What a serene and secluded place it was! The Launching site is a hill in the meadow at Billing (14 km north of Bir), at an elevation of 2400 meters. Sun was playing hide and seek with the clouds. I knew it couldn’t hide for a long and here it comes out as a clear winner. 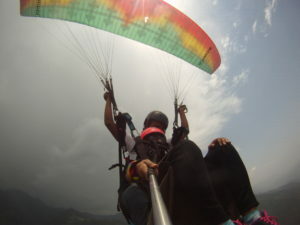 (Here is the link, one can follow http://www.paraglidingmap.com/ for checking weather conditions before planning a trip to any paragliding site). En route, our instructor explained to us the do’s and don’ts in flight and how to operate a “GoPro Hero” camera for recording memories of our first flight. This is how we land ! I was amidst sky and land, talking to myself, clicking pictures, enjoying nature, feeling literally high, and couldn’t stop shouting especially when the pilot went for acrobatics. They were multiple 360-degree spins in midair. I was living a dream until the pilot informed me to brace for landing. Sigh! those 25 minutes passed like seconds. Then, my pilot instructed me to run at touchdown and I landed on my feet, unlike many others. 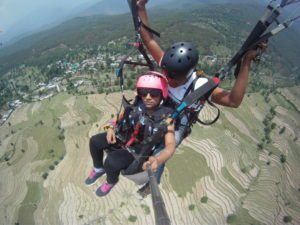 I was exhilarated being back on the ground, with one tick off my bucket list. The landing site, an open flat ground, was equally beautiful with a lot of people landing here and there, making noises of happiness. After the flight, I was reliving the last 25 minutes when it hit me that I was all alone. “Oops ! where are my fellow gliders ?” After searching for a few minutes, we all regrouped. Here we were with everyone really happy, full of life, a little more life. Soon after, we all shared our stories of flying. I noticed that even while writing about this, I felt that exhilaration once again. Goosebumps!! We walked around the place to reach our hotel which was hardly at a distance of 1 km from the landing site. We had lunch there on the porch and it was exactly what we needed after a long morning. Guests were invited into the kitchen and one could choose to customize from the available options. There was a fun area in the hotel lobby. Within moments or so, everyone was in that area playing chess and carom. Deer Park Institute, famous for its programs in meditation, philosophy, art and culture, Yoga and healing arts, Buddhism and more. Bir Tea Factory, scenic spot for a leisurely stroll. On our way back, it started thundering and raining cats and dogs. We took shelter near a tree for a while, but decided to run back instead and enjoyed soaking in the rain. Unfortunately, after reaching the hotel, we realized that there was no electricity and were more perplexed when informed that the blackout may last the night. For the majority of us, it was a critical situation as there was little or no charging left in our phones. We were in the hotel’s veranda frustrated wondering what to do without electricity, and of course, phones, when it started thundering again. It was a mesmerizing experience to watch such a dramatic sky which seemed like a movie, directed by nature itself, casting sky, clouds, and lightning, all from the balcony seat. 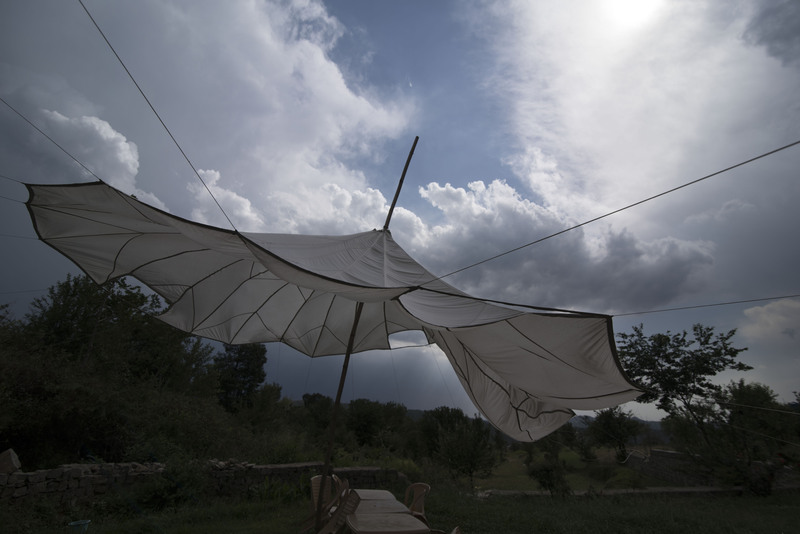 Shortly thereafter, everyone had snacks- chai, coffee, and pakoras to relish the weather in its full flavor. As the rain stopped and the lightning died out a little, we had another show lined up for us – The dazzling glowworm show. Yay! !, we spotted more than a bunch of glow worms in the garden beside. Fascinating it was to watch the magical lure of glow worms. We caught a few but eventually released them back. Absence of electricity had filled our lives with real light that day !! After having dinner, we went straight to our rooms with an electric lantern provided by the hotel staff. After a while, Abhimanyu had a sudden urge to play dumb charades, even used GOT (Game of Thrones) as a reference guide. Crazy Acting, cryptic clues, performing favorite character and whatnot, including some really crazy references to GOT, a completely new version of it made us laugh our lungs out. It was around 2 in the clock, when Onkesh walked out to the balcony, just to check the weather and came back running inside to beg me to have a look at a sky outside. Initially, I was hesitant but I was dumbfounded by the sheer sight that met my eyes. “A Sky full of stars” was my expression, even the Coldplay song started to play in the back of my mind. Infinite stars, constellations, and a clear night sky after heavy rains, truly unexpected. But nature had already planned something majestic for us. I spotted 3 meteorites within an hour. We even got to see the “Milky Way” galaxy with our naked eyes. First time ever. Totally short of words to describe that breathtaking experience that everyone witnessed that night. I was not able to take my eyes off that irresistible sky, it was that amazing. A sky full of stars and of course milky way galaxy. Best Time: March to May before the monsoon and September to November. 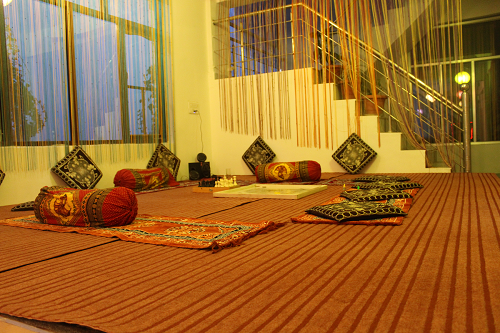 Stay at Bir-Billing: Bir has lots of small guest houses, homestays, and reasonable hotels. I personally recommend the Garden View Hotel. The stay is comfortable and the rooms are quite clean. An overnight stay will cost you around Rs 800 – 1000/- depending on the season. Staying in a hotel is not a true experience of mountains, camping is always a different experience. One can explore Camp Oak view, which is at a distance of 3 km. from the Paragliding landing site. 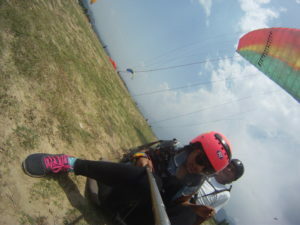 Paragliding Cost: It offers 25–30 minutes of tandem Paragliding flight with GoPro video footage. This would cost ~2500/- per head including the drive from Bir to Billing. There are deals for longer flights that take you closer to the Dhauladhar mountain range and ranges from 5000/- per flight and above. Undoubtedly, Bir-Billing is the best place in India for Paragliding, but more than that, it is the place that is still very much untouched. One can enjoy the natural scenic beauty, snow-clad ranges, Tibetan monasteries, sprawling tea gardens, star gazing and lot many unknowns (to explore) which I left up to my readers. Here, I am wrapping up this post but don’t forget to visit the next post on the Trip. 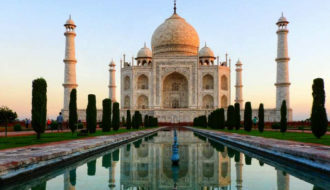 If you come all this way, this perhaps just make it the bucket-list worthy !! Keep visiting the blog !! Binge reading all your blogs.. Beautifully described. Makes me feel I was with you on the trip.. 🙂 Craving mountains now!! “Once you have traveled, the voyage never ends, but is played out over and over again in the quietest chambers” . I am pleased that you liked, what played back in my mind. Keep visiting the blog for further interesting reads. Thank again for your kind comments and keep visiting the Blog for further posts ! Thanks John for such words. You really made my day 🙂 and I am glad that you found the read interesting and worth. So, when are you planning to visit the town now ? 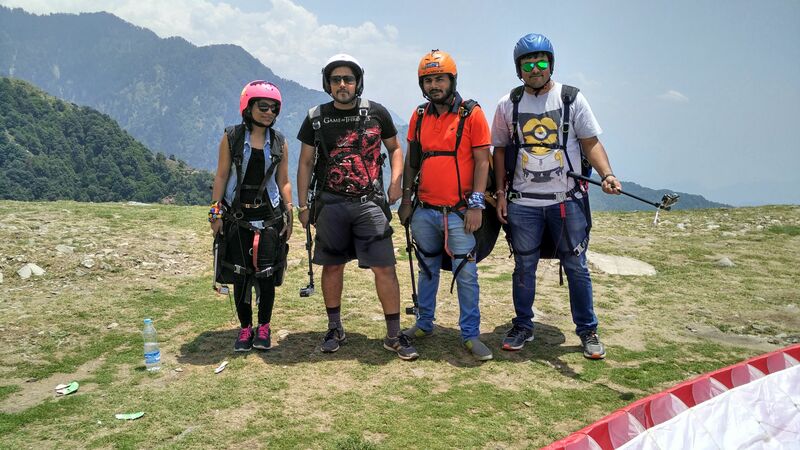 Do share your experiences once you visit the place and let us know in case you have any query about booking the paragliding flight and hotel. At last, Keep visiting the Blog for further interesting reads !! I was feeling, I was with you in this trip…deeply enjoyed after reading your blog without even visiting the place. Thank you so much for such welcoming words. I am really elated that you enjoyed reading the post as much as I enjoyed writing it. 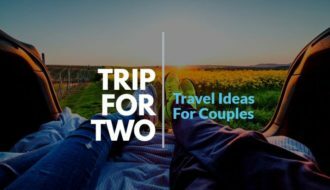 Next time, Let’s plan a vacation together and double the fun !! Please join us next time on the expedition. Keep visiting the blog for more excitement ! And Thanks to you for letting me know about this place ! Keep visiting my blog for further interesting reads!! very well narrated …. reading this it seems we are with you & enjoying those moments…. I also want to visit this place now !! Really amazing it is, Incredible!!!! Thanks Rakhi. I am glad you liked the place mentioned in the post. Keep visiting the blog for further interesting reads !! As they say, do something where your heart lies in!! I am pleased that you liked, what played back in my mind. 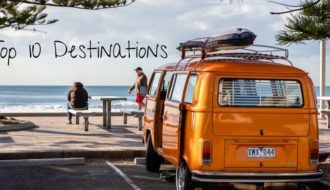 Follow and Subscribe to get my upcoming travel posts delivered to your inbox. 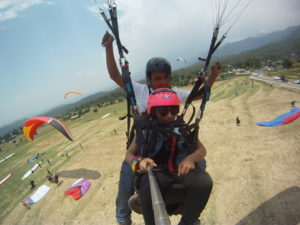 Hi dost, i am planning for bir billing and near by sights..which includes landsdowne, mc loed ganj dalhousie khajiar suggest where to stay if I have to cover them all..
You can plan for one day stay in Bir town after doing the world famous paragliding in biling. 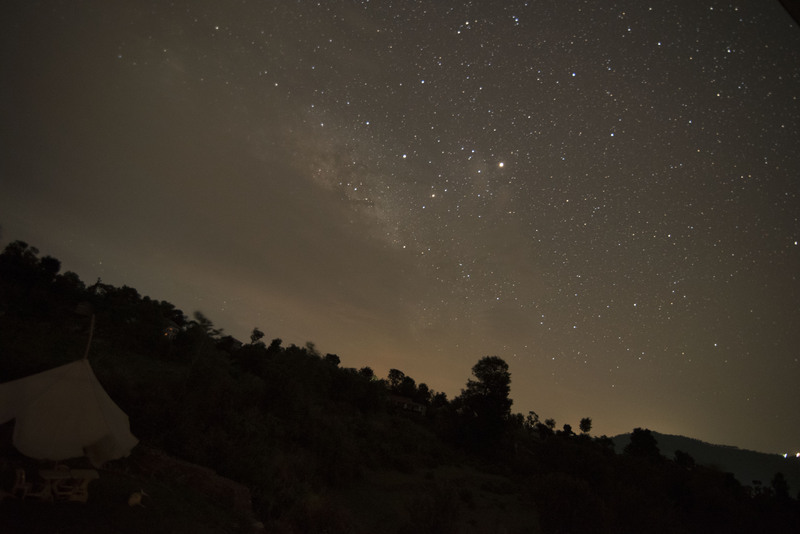 Bir offers good opportunity for star gazing and is such a peaceful place. Then, for day 2, you can look for Mcleodganj and save Day 3 for Triund. Lansdowne and mussoorie are quite in opposite side. Let me know if you want to know anything else.